We’d love your help. 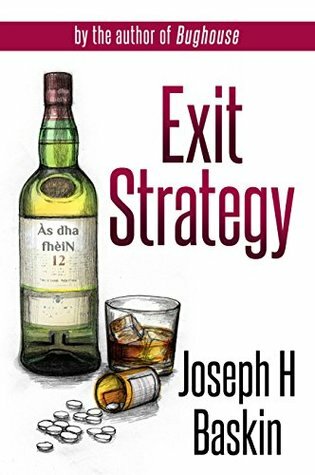 Let us know what’s wrong with this preview of Exit Strategy by Joseph H. Baskin. Disgraced psychiatrist Archibald Wendt seeks a new life in Harding, Ohio, but gets drawn into the affairs of the town’s wealthiest family. Aging tycoon Virgil Morgenstern, soliciting advice for succession planning, embroils the psychiatrist in a tempest of family politics. Before the dust settles Archie will have to battle the town’s suspicions, avoid harm to life and limb Disgraced psychiatrist Archibald Wendt seeks a new life in Harding, Ohio, but gets drawn into the affairs of the town’s wealthiest family. Before the dust settles Archie will have to battle the town’s suspicions, avoid harm to life and limb, and face his own demons. Anonymity turns to notoriety as his world comes crashing down. To ask other readers questions about Exit Strategy, please sign up. He thought he could escape the shame he brought on himself and his profession in Harding, Ohio. Yet psychiatrist Archibald Wendt finds himself caught up in a tsunami of deceit, murder, suicide and greed as one wealthy and dysfunctional family go to the monetary mats over an unexpected inheritance. A newcomer to town, Archibald is surprised to have an aging and wealthy tycoon befriend him, shortly before he commits suicide. Virgil Morgenstein knew what he was going to do, he even knew what would t He thought he could escape the shame he brought on himself and his profession in Harding, Ohio. Yet psychiatrist Archibald Wendt finds himself caught up in a tsunami of deceit, murder, suicide and greed as one wealthy and dysfunctional family go to the monetary mats over an unexpected inheritance. A newcomer to town, Archibald is surprised to have an aging and wealthy tycoon befriend him, shortly before he commits suicide. Virgil Morgenstein knew what he was going to do, he even knew what would transpire after his death and Archibald plays right into his hands as a the patsy the town loves to hate. Why would Morgenstein need Wendt if he already had his affairs in order? Was he counting on the good doctor’s keen sense of humanity to be a shoulder to lean on in difficult times or is there something more he wants from Wendt? Did he intend for Wendt to become a pariah in a town who barely knew him? Did he know Wendt had his own demons to fend off? A crazy, twisted small town soap opera with strong characters, a little too much alcohol and a whole lot of money, EXIT STRATEGY by Joseph H. Baskin will bring readers to the edge! 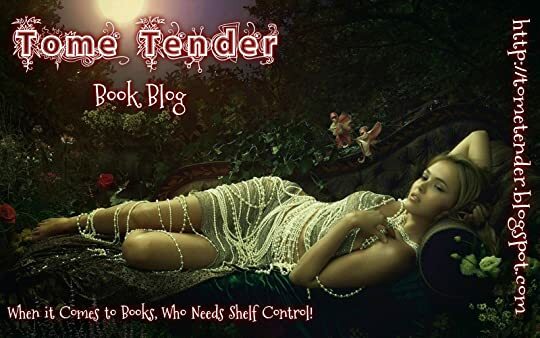 Entertaining, suspenseful, expect the unexpected when the doctor is in the house. I received a complimentary copy from Joseph H. Baskin! I am from a suburb of Cleveland Ohio - born and raised there for 40 years before I headed down to sunny Florida to live. I'm a hometown girl at heart and if you don't know me, I'll tell you - I go up to Cleveland nearly every May for a "race-cation". I participate in the Rite Aid Cleveland Marathon Race Series and I visit family. That being said, when I was contacted about the possibility of reading today's book Exit Strategy by Joseph H. Baskin (FROM CLEVELAND, OHIO), I yelled a quick "ABSOLUTE I am from a suburb of Cleveland Ohio - born and raised there for 40 years before I headed down to sunny Florida to live. I'm a hometown girl at heart and if you don't know me, I'll tell you - I go up to Cleveland nearly every May for a "race-cation". I participate in the Rite Aid Cleveland Marathon Race Series and I visit family. That being said, when I was contacted about the possibility of reading today's book Exit Strategy by Joseph H. Baskin (FROM CLEVELAND, OHIO), I yelled a quick "ABSOLUTELY"! Virgil Morgenstein is an aging, wealthy tycoon in Harding, Ohio with "interesting" plans for his future. Dr. Archibald Wendt is a a psychiatrist looking for a new start in a new city after having been disgraced. Shortly after arriving in town, Morgenstein surprisingly befriends Wendt and gets drawn into the affairs of the town's wealthiest family. When Morgenstein commits suicide, it seems that Wendt has fallen right into the plan that Morgenstein had set into play so as to make Wendt the guy to be blamed. In all honesty, I had a hard time digging into this book, but once I got started I realized that Dr. Baskin provided a well-paced story with strong characters. There's a LOT of alcohol and even more money in this small town psychological thriller/drama full of suspense and entertainment. Exit Strategy is equal parts small town thriller, psychiatric circus and bartended intrigue. Don't let the themes of suicide and alcoholism trick you into thinking this read will be a downer. Baskin uses his many years of training to bring you thoughtful psychiatric insights folded into the fun of a noir-like narrative. This book is a page turner, perfectly paired with a glass of scotch or a bottle... of scotch. Joseph Baskin currently works as Staff Psychiatrist at the Cleveland Clinic Foundation and Assistant Professor at the Cleveland Clinic/Case Lerner School of Medicine. He is the medical director of a high acuity unit that specializes in the treatment of suicidality. Previously he's worked at Bridgewater State Hospital (corrections facility for the criminally insane) and Ohio State University. Educat Joseph Baskin currently works as Staff Psychiatrist at the Cleveland Clinic Foundation and Assistant Professor at the Cleveland Clinic/Case Lerner School of Medicine. He is the medical director of a high acuity unit that specializes in the treatment of suicidality. Education includes: BA from the University of Michigan, MD, The Ohio State University, Internship in General Surgery at Rush Medical Center (Chicago), Psychiatry residency Harvard South Shore (Brockton, MA), fellowship in Psychodynamic Psychotherapy, Massachusetts General Hospital, fellowship in Forensic Psychiatry, University of Maryland (Baltimore).